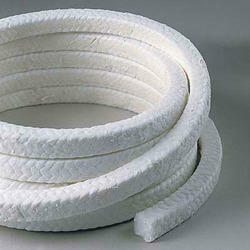 Wholesale Trader of a wide range of products which include ptfe sheet, ptfe rods and ptfe rope. 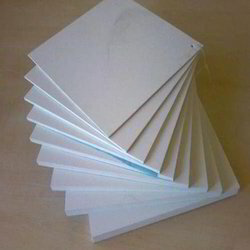 We have put in a lot of effort to be the leading company in this industry and so we are offering a wide range of PTFE Sheet. Clients can rely on our quality and place bulk orders. We are using only the best materials and latest technology. We ensure that we deliver on time and follow international trends closely. Clients can get the products customized also. With the help of our distinguished professionals, we have been able to bring forth an exclusive variety of PTFE Rods. These rods are manufactured using presintered resin and advanced technical tools . These products are highly chemical-resistant and has best electrical properties. We offered comprise quality finished PTFE Rope that gets compressed to thin, wide ribbon under pressure and perfectly conforms to irregular flange surfaces. Further, the cords come with support of thin strip of adhesive to hold it in place on vertical surface.